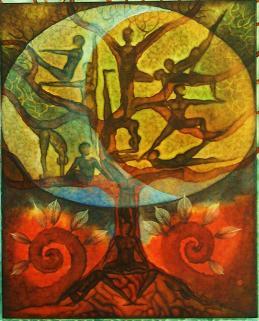 “The yoga practice supports us in our impulse to know ourselves, to discover who we authentically are…. Yoga takes us below the surface of all the noise and stimulation. It teaches us to be still, so that we learn to become more present, so that we begin to know our Truth,” says Iyengar teacher, Vickie Russell Bell. A form of Hatha Yoga, Iyengar Yoga focuses on the structural alignment of the physical body through the development of asanas. Through the practice of a system of asanas, it aims to unite the body, mind and spirit for health and well-being. This discipline is considered a powerful tool to relieve the stresses of modern-day life which in turn can help promote total physical and spiritual well-being. 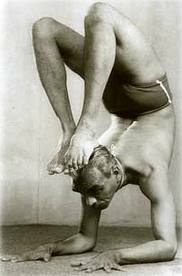 Iyengar Yoga is characterized by great attention to detail and precise focus onbody alignment. Iyengar pioneered the use of “props” such as cushions, benches, blocks, straps, and even sand bags, which function as aids allowing beginners to experience asanas more easily and fully than might otherwise be possible without several years of practice. Props also allow tired, injured, or ill students to enjoy the benefits of many asanas via fully “supported” methods requiring less muscular effort. Standing poses are emphasized in Iyengar Yoga. They are said to build strong legs, increase general vitality, and improve circulation, coordination and balance, ensuring a strong foundation for study of more advanced poses. Unlike more experiential approaches where students are encouraged to independently “find their way” to the asanas by imitating the teacher, an Iyengar Yoga class is highly verbal and precise, with misalignments and errors actively corrected.